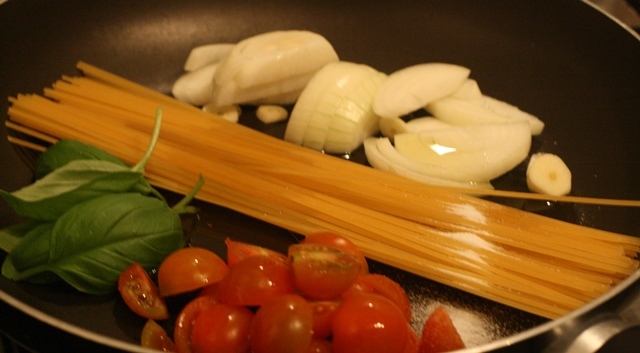 Recently, I came across this recipe by Lottie + Doof for a pasta meal in a single pan, and decided to try it out. 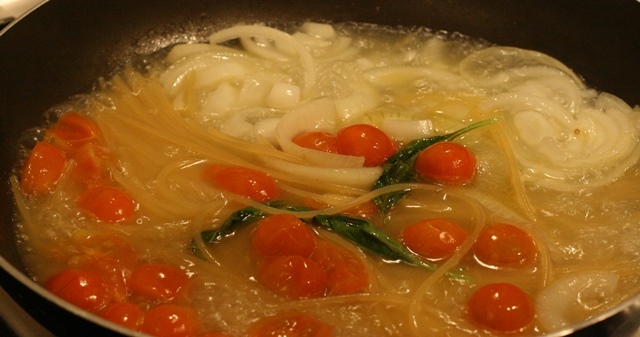 It’s a simple enough combination – onions, garlic, tomato & basil – and, I can verify, tastes rather good! You should try it out.